With the latest update out, they're working towards adding in more buildings and game mechanics for the Modern Age. To go along with this, you can now put your nuggets (people) into Ministry roles like Defense, Agriculture, Education, Water and so on. These ministers, will automatically get workers to help construct more when you need it. 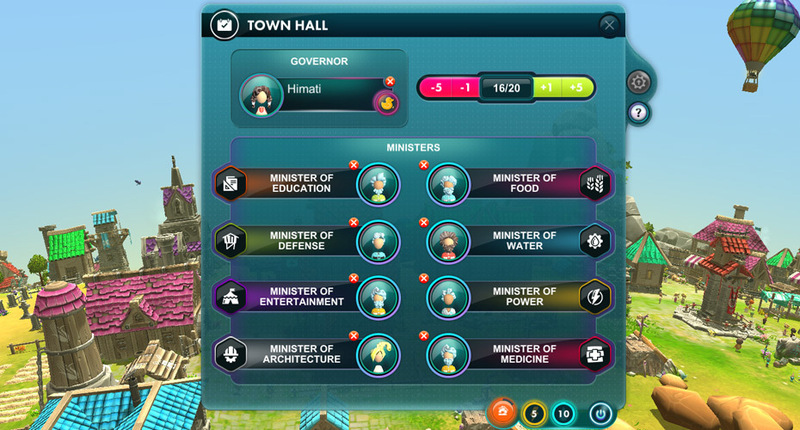 For example, the Minister of Agriculture and the Minister of Water will ensure that there is enough food and water for everyone and get people to build more sources if you don't have enough. A handy feature, one that should remove a ton of micro-management. There's multiple new buildings including a Glass Factory, Chemical Factory, Cement Factory, Modern Water Pump, University, Hot Air Balloons for entertainment to keep your nuggets happy and so on. Additionally there's new parks to get from completing quests to give your nuggets new places to relax, the settings menu was overhauled, new Steam achievements, new medieval music, nuggets can take up arms against external threats, pathfinding improvements and assorted performance improvements. Just keep in mind, saved games between major updates seem to break as they keep introducing major features. Giving it another run over with this update, it's certainly becoming an impressive game. I adored the intro video, as the camera flies through space visiting different planets with the narrator setting scene, very nice. As I mentioned before in a previous article, I do love the direction they're going with it. So far, it seems like a very relaxing game. Most of the time, it doesn't require a huge amount of attention as your nuggets do most of what they want themselves. 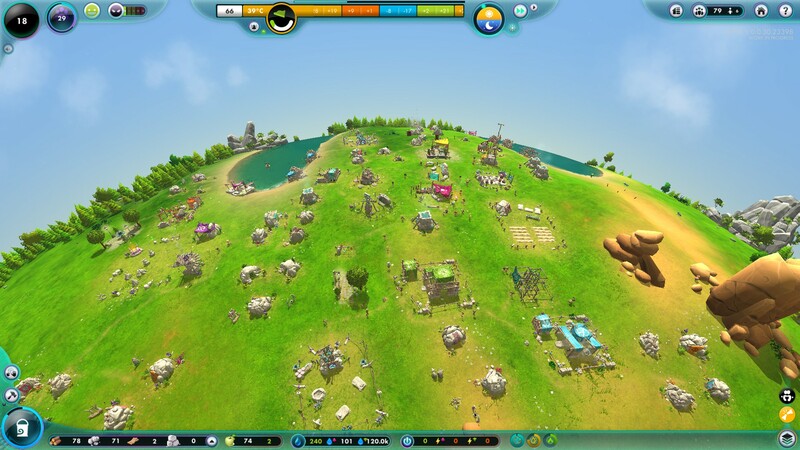 While you do need to place down certain buildings, they will make their own houses and deal with a lot of the logistics once you assign them to each building. Now and then you might need to use some of your godly powers to help them along, but not too often and it doesn't feel like a chore when you do. 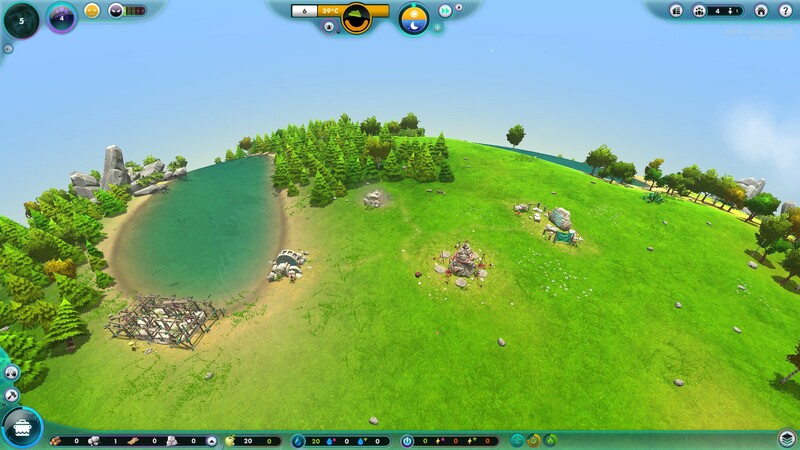 Performance in the early game is really good, however, once you start to build up a pretty big civilization it will drop quite a bit. My game started off around 150FPS and I ended up around 60FPS with around 100 nuggets so hopefully they will continue to optimize it. I'm watching this one very closely, as it has promise to become a very good game when it's finished. You can find it on Humble Store and Steam. The Linux build is not currently available on GOG.